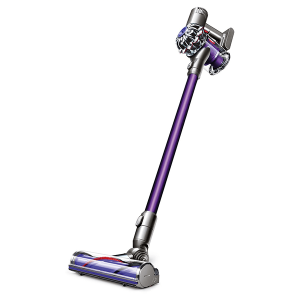 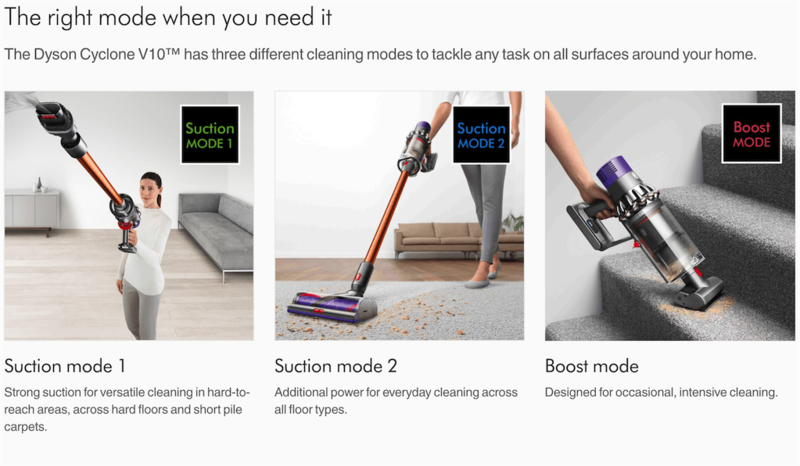 Dyson V6 Animal Extra. 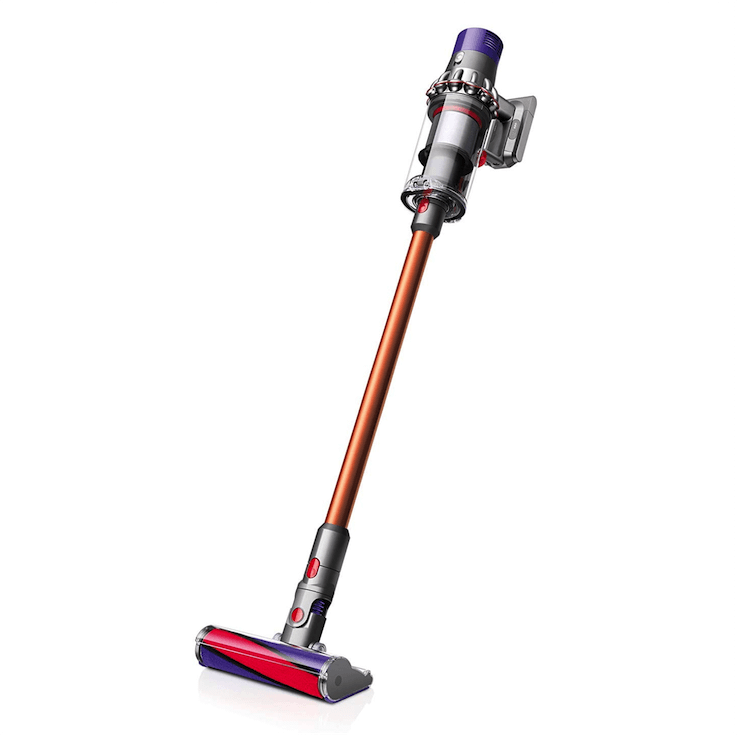 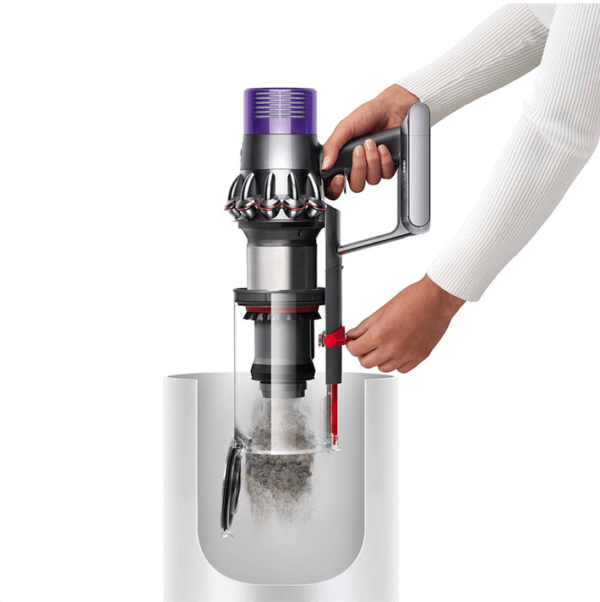 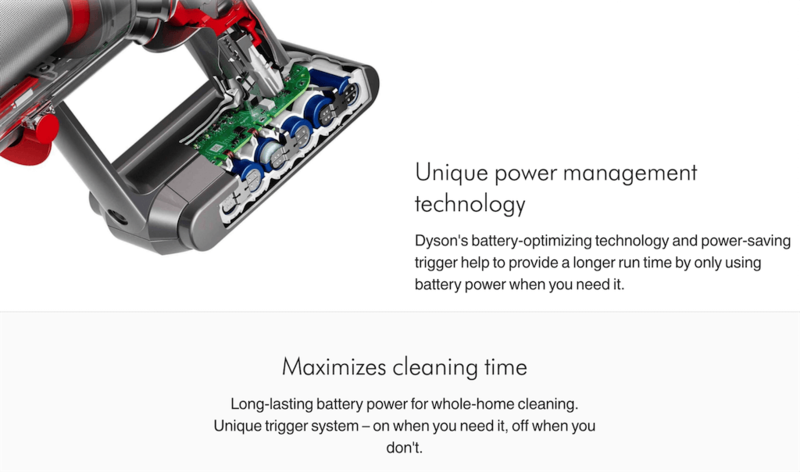 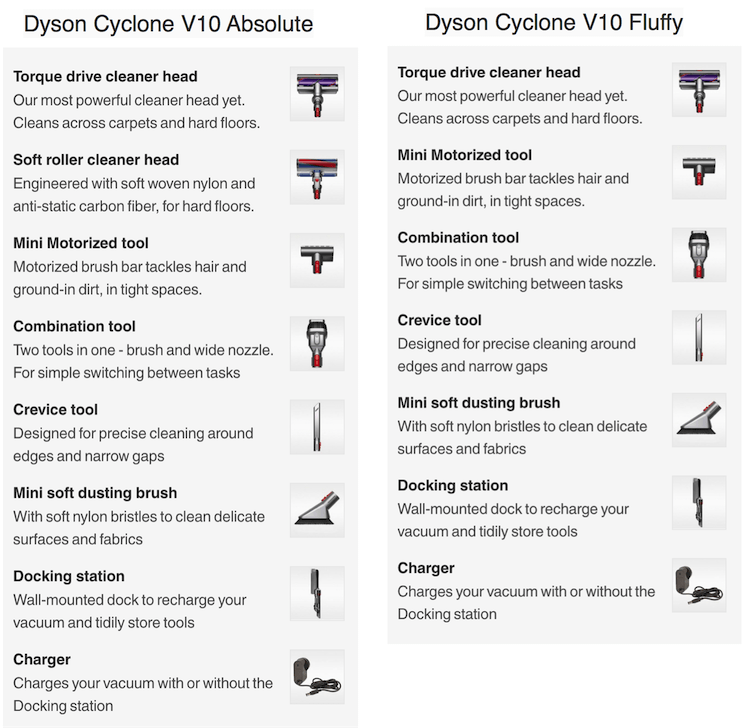 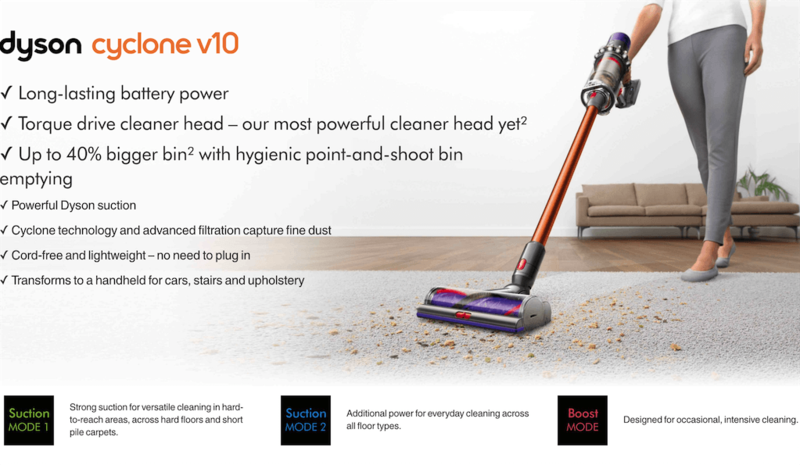 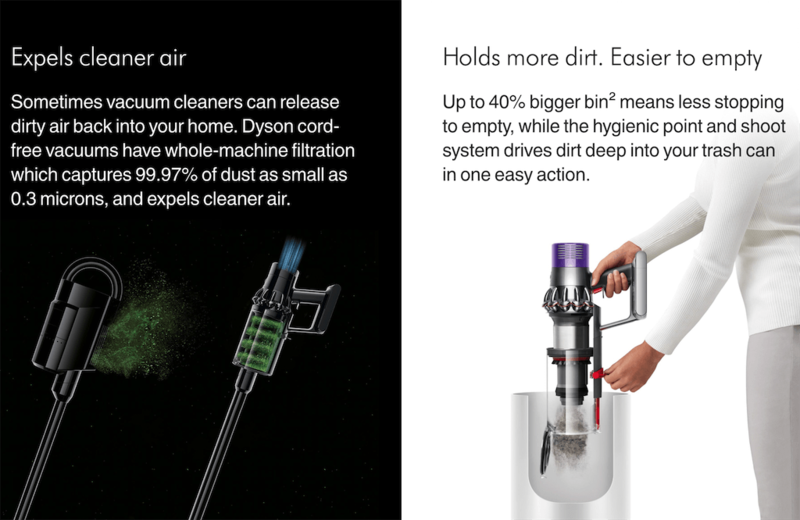 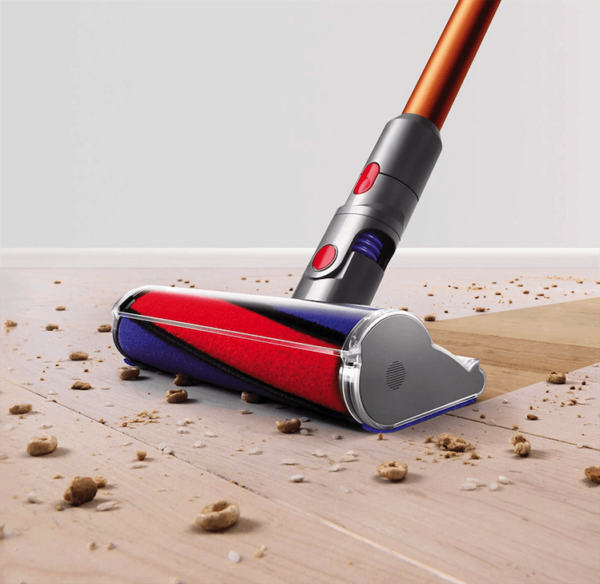 Direct Drive Cleaner Head – 75% more brush power than the Dyson V6 vacuum. 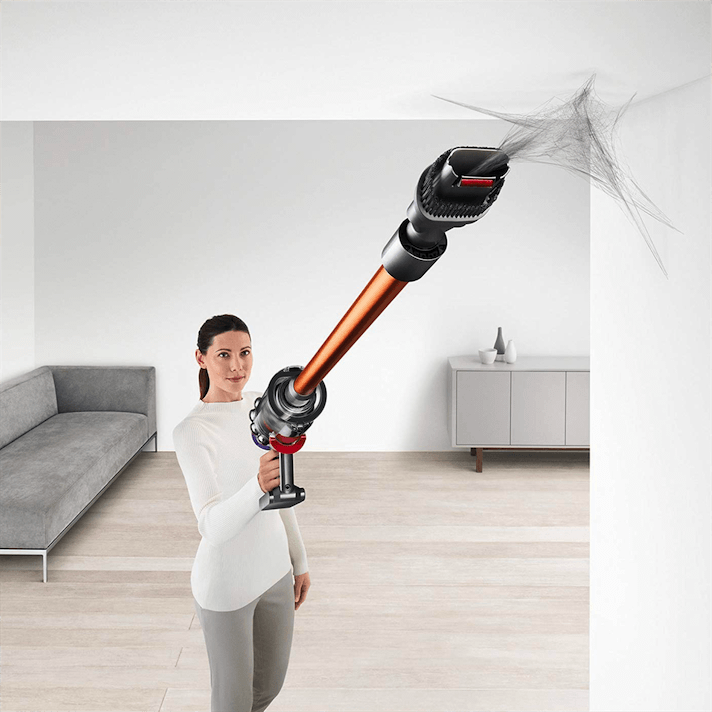 Motorized Cleaner Head – Utilizes stiff nylon bristles and soft carbon fiber filaments to remove ground-in dirt from carpets and fine dust from hard floors.